BlanX White Shock is the only toothpaste in the world with ActiluX®, the innovative formula protected by two international patents. 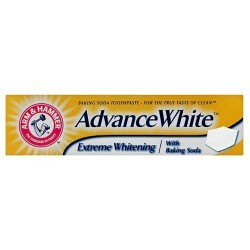 The ActiluX® present in BlanX White Shock formula is deposited on the surface of your teeth and remains active throughout the day, whitening your teeth naturally. Every time you smile ActiluX® reacts to light, naturally whitening and removing bacteria that cause plaque and tooth decay. 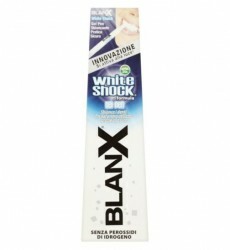 BlanX White Shock formula acts instantly, visibly removing pigments on your teeth, implants and fillings. 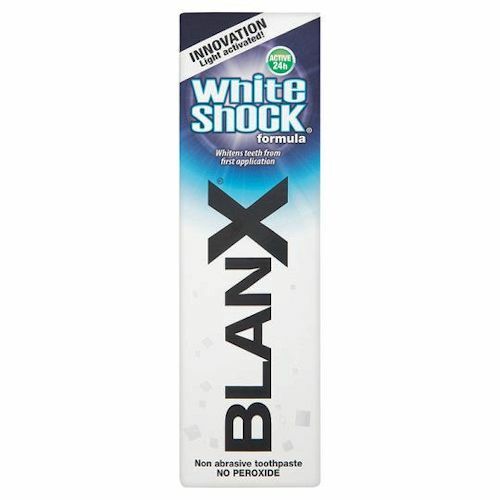 BlanX White Shock formula naturally whitens without the use of optical brighteners and is safe for your gums as it does not contain peroxide.